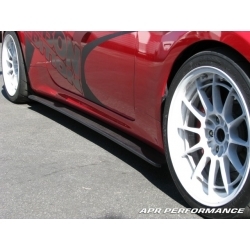 ARK S-FX Carbon Rear Diffuser V2 with open cut outs for the exhaust allow for larger tips to be used. 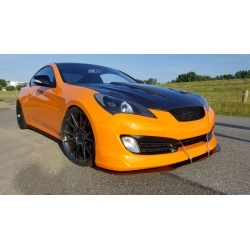 ARK S-FX Wide Body Kit gives your genesis sleek, aggressive look and improved aerodynamics for street and track. 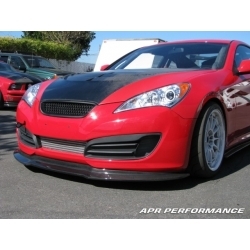 BBfab is proud to present its all new Genesis Coupe front splitter and side skirts package. 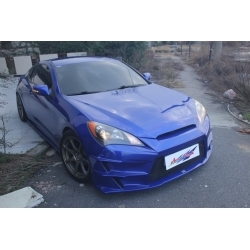 ChargeSpeed Body Kit for genesis coupe is high quality kit made in Japan with subtle styling and great fitment. 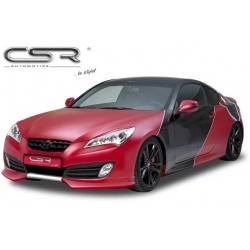 CSR Automotive Lip Kit for Genesis coupe is made from fiberflex material which is very flexible and durable. 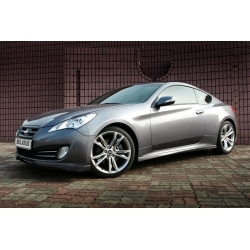 F3S body kit for 2010-2012 genesis coupe is all new aerodynamic kit from Korea available exclusively in our store. 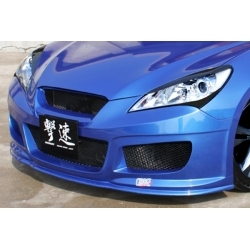 FNB Lip Kit is very subtle looking kit which is also very practical for daily drivers as car isn't much lower because of it.